Since Tiago Flores came into world in 1995, to be more precise May 7th, the midfielder is seven years younger than UE Engordany's average player. So far in the 2018/2019 season, Tiago Flores did not compete in any fixtures. At present, UE Engordany is in Primera Divisio (Andorra) they are in fourth place. In September 2018, Spanish midfielder Tiago Flores joined UE Engordany (Andorra), whom he is still playing for. 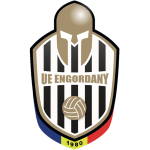 UE Engordany has nine more midfielders in their squad, namely Edu Peppe, Mario Spano, Sebastien Jacques Aguero, Morgan Mathieu Pierre Lafont, Cristopher Pousa, Miguel Laborda, Hamza Bouharma, Nikola and David Paulo Ruivo. Not a single penalty was given to him yet. 7 months was the maximum period Tiago Flores ever played in a team, which is his latest one. Prior to joining UE Engordany, he played for Velez Sarsfield. His squad Therefore they lost all of their recent matches. Tiago Flores plays with the jersey number 15. He reached the one appearances milestone as a professionl, the last one being 1588 days ago. 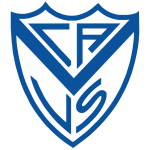 The briefest time his spent on a team counts five months in Velez Sarsfield (Argentina). Besides playing for UE Engordany, Tiago Flores additionally is a member of Encamp FC. Ever since Tiago Flores became a professional, he has been committed to overall three clubs.